Since 1988, POWERCELL load cell technology has lead the industry in heavy capacity weighing applications. POWERCELL PDX load cells are the third generation of this technology. 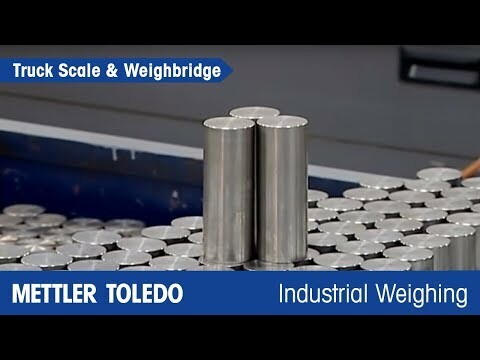 See how METTLER TOLEDO uses precision processes and testing to make these unique weighing sensors at a specialized facility. METTLER TOLEDO provides load cells for truck scales and rail scale applications. POWERCELL® load cells are the most accurate and reliable vehicle load cells in the world. They provide proven performance with a successful history of nearly one million cells in service worldwide. POWERCELL GDD is the newest member of the esteemed POWERCELL family, known for accuracy, reliability and durability in harsh conditions. This load cell represents a vast improvement on weighing accuracy compared to traditional analog and older digital load cells. It offers great benefits at an economical price. Description The latest vehicle weighing technology: unequalled accuracy, reliability, and predictive diagnostics. DescriptionThe latest vehicle weighing technology: unequalled accuracy, reliability, and predictive diagnostics. Description The industry leader in digital vehicle weighing applications for more than 10 years. DescriptionThe industry leader in digital vehicle weighing applications for more than 10 years. Description The 0782/GD analog load cell is the entry-level load cell for vehicle weighing applications. DescriptionThe 0782/GD analog load cell is the entry-level load cell for vehicle weighing applications. What Can a Single Day of Downtime Cost You?